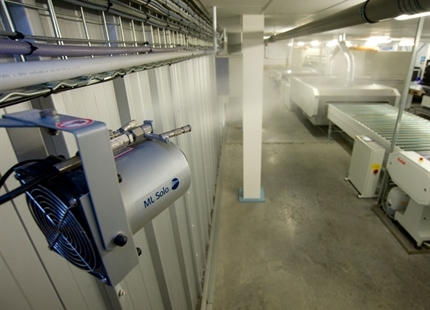 When John Watson & Co, the oldest printing company in Scotland, was seeking to enhance its process control by improving the humidity of its print room, it contacted Condair, who specified and installed the JetSpray air and water atomising humidifier, developed especially for the printing industry. Paper is a hygroscopic material that is very susceptible to changes in relative humidity (RH). 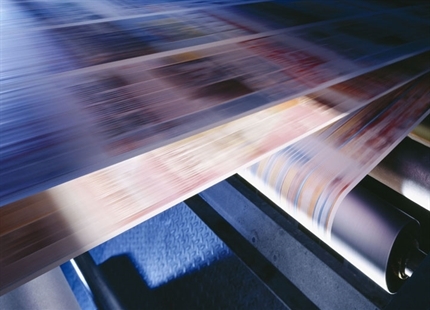 For optimum printing and paper storage conditions, the humidity should be kept between 40-60%RH. The heat generated by print machinery and heaters in enclosed conditions can cause the air to dry and, subsequently, the paper. In winter, RH can fall as low as 15-20%RH resulting in a build-up of static and printing issues such as misregister, web breaks, paper curl and paper cracking when folded. By humidifying the atmosphere around printing presses, reel-stand areas and paper stores, problems like these can be dramatically reduced. The JetSpray controls humidity to ±2.5%RH and was designed specifically for the printing industry as it needs minimal maintenance, has low running costs and is very hygienic. It consists of a control panel feeding compressed air and water to rows of nozzles. 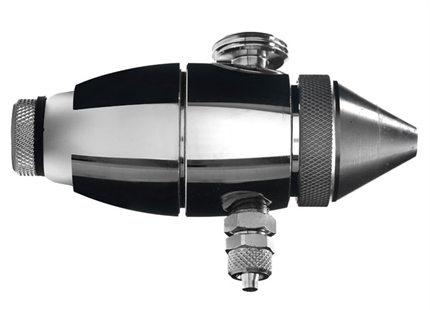 The nozzle design ensures that water can only be introduced when compressed air is flowing through the system, guaranteeing drip-free sprays. The spray released from the nozzles has a tiny droplet size of just 7.5μm, which rapidly evaporates in the air, raising its humidity. A PureFlo Ag+ silver ion dosing system is incorporated on the incoming water supply to combat microbial build-up. Silver is a powerful antibacterial element and provides a strong residual effect throughout the water pipe work. In additional to this, automatic flush and purge cycles prevent water from remaining in the system, further controlling microbial growth and ensuring hygienic operation. These features have helped the JetSpray achieve the independently verified VDI6022 hygiene standard. The atomising humidifier uses 90% less energy than electric steam humidifiers. Not only are there considerable cost savings but, for a system producing 100kg of moisture per hour, this equates to a reduction in CO2 emissions of around 260 tonnes over five years. The JetSpray is very easy to install, can run on mains, demineralised or softened water and due to a self-clean pin in the nozzle, requires little maintenance. The internal components of the JetSpray control panel are easily accessible with all electronic elements being enclosed in a separate compartment above the water pipes.